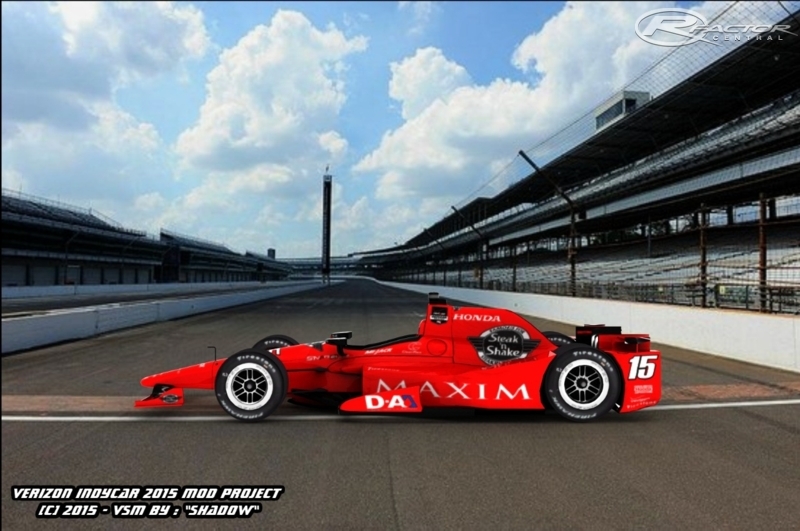 IndyCar has finally got the rFactor treatment it deserves. And I'm not saying that because the actual creator of these mods wanted me to; I mean it. - Did I mention aero kits? Installing this mod is just like installing any other rF mod: Simply drag + drop the contents of the .zip file into your rFactor folder. - On this note, I don't claim that any of the content is mine. the "100% scratch" claim applies to the mods within this pack. - Not all the 2015 cars are included. - The 2015 cars currently don't automatically change depending on tracks yet. The 2014 ones do, to my knowledge that is. - Some cars may not work properly on ovals (in the case of the road-course cars) and on street/permanent circuits (in the case of most Indy 500 cars). I don't have time to weed all of the malfunctioning cars out one-by-one, so this is just a general warning. - THIS IS NOT AN OFFICIAL INDYCAR PRODUCT. There are currently no setups for 2015 Verizon IndyCar Series. Add a Setup. So much love to this model! I love the skin and everything in here! Try our scavenger scavenger hunt games. I have only 2 Chevrolet cars, and a ton of Honda cars? At present every people focus on the security solutions to experience stress free life, especially the business people and home owners approaches the locksmith services to get protection from the man-made issues. Particularly the business people requires high end of security options to run their business in the stress free manner. The nineteenth century saw the newspaper sector evolve from a basic craft to an intricate entity. Circulation of newspapers continued to develop in the nineteenth century. The causes for this growth was the far more than doubling of the U.S. The UNITED NATIONS claims which Food manufacturing must dual by 2050 to satisfy the demand from the worlds developing population. Nevertheless, most from the worlds effective farmland has already been in make use of, so elevated food production will need extending rigorous farming techniques with greater utilization of pesticides as well as fertilizers resulting in the elevated release associated with greenhouse gas.